Wider Selection and Better Prices! Note - to apply your existing designs to the above - you will need to un-publish your collections and then a create a new collection before selecting the case variants you wish to sell. But wait, there is more! 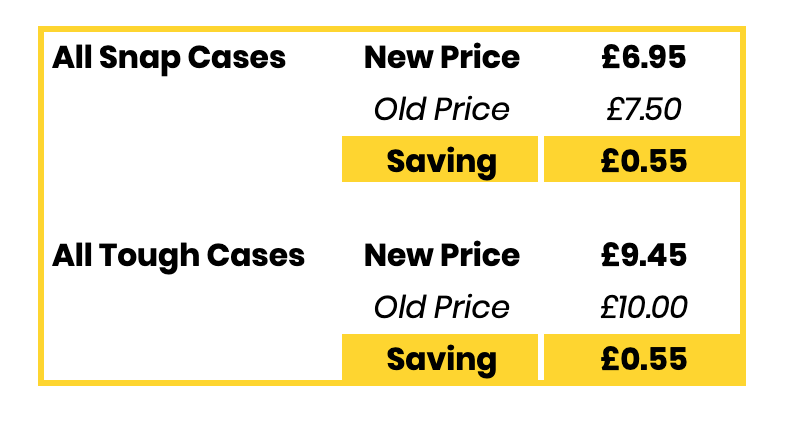 We have also negotiated better prices with our phone case supplier, allowing us to pass on savings with no compromise on quality or fulfilment times. As always - if you have any questions or need a hand with updating products in your store - reach out to our customer support team who will be glad to assist!